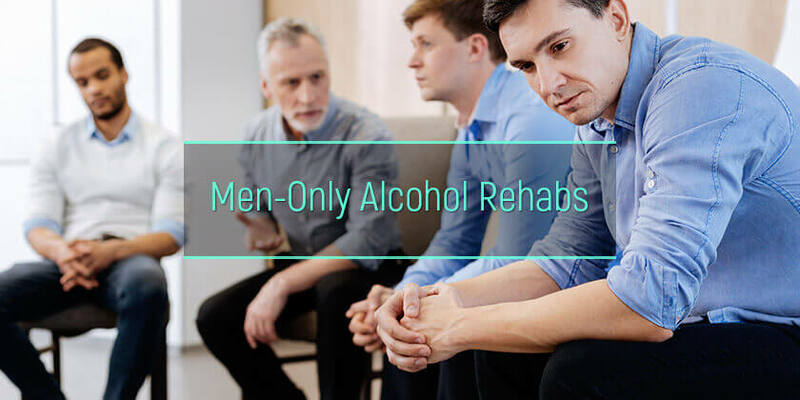 Alcohol rehab for men is a special rehabilitation program aimed at addressing the causes of alcohol addiction in men, and also assisting male addicts to overcome long-term and short term triggers. Recovery from alcohol abuse is a long and delicate process that entails a lot. Since male and female addicts have distinct needs and expectations from the rehab process, gender-specific recovery program goes a long way in settling these needs. 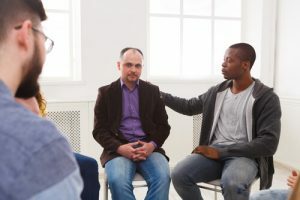 Alcohol treatment centers for men provide a conducive environment for male addicts to safely confront the numerous pressures, and aggravating factors that contribute to alcohol abuse. The aim of this article is to outline the numerous alcohol treatment work programs for young men, treatments received in alcohol men rehab centers, and benefits of men-only alcoholism recovery facility. What is men-only alcohol rehab? Why do men need a different approach to alcoholism treatment? What do male addicts experience in men-only recovery centers? What are the benefits of men-only alcoholism recovery centers? How to choose a men-only recovery center? Men-only alcohol rehab is a gender-specific alcoholic addiction treatment that assists male addicts to live a life free from alcohol. Men alcohol rehab treatment narrows the focus and treatment to ensure an individual approach is administered to all patients. According to the study, men and women react to drug separately; the causes of alcohol addiction differs as well as response to treatment. At this point, opting for a men-only drug alcohol treatment center can help male addicts confront issues most common to them. This is very useful at the initial phase of treatment. Unlike mixed-gender rehab centers, men tend to feel less-judged and more open to treatments which can also hasten recovery. Inpatient rehab is an effective recovery program aimed at helping male addicts to overcome alcohol abuse. In this program, special one-on-one sessions are held, where each patient are counseled by a professional separately. The aim of this is to create a scene where individual needs and treatments are met. Additionally, this also enables therapists to determine the suitable medical treatment for alcoholism to be carried out on each patient. There is also inpatient alcohol rehab for senior men. Unlike in women, men experience intoxication for a shorter period of time due to larger amounts of fat and water in the body. Hence, can cause men to drink alcohol more often. A unique approach to this issue spells a lot. Most men start abusing alcohol in a bid to enhance their sexual performance. In men-only rehabs, special attention is given to this cause, and appropriate measures are taken. Men are more likely to relapse than women—This is due to peer pressures and societal pressures. This is why some men-only rehab centers include sports in their program; the aim is to neutralize triggers and keep the mind and body engaged. Also, psychological and physical needs are met in men-only recovery institutions. Special men-only recovery centers like Christian alcohol and drug rehab also integrate spiritual teachings in their program. Generally, male addicts are taught how to control their anger, reduce stress and build their social relationship with people around. Treatment in men-only rehab is fun and exciting. Men find it easier to share their thoughts and experiences without judgment, or loss of ego by the female gender. Thanks to teamwork and physical activities done in men-only rehab centers, male addicts can help regain their confidence which is very crucial in the recovery process. Also, men-only rehab centers like Jewish alcoholism rehab provide an avenue where men who share similar spiritual faith are taught how to live a healthier life in line with their beliefs. Alcohol addiction doesn’t discriminate; it affects both men and women. However, a different treatment approach which can be obtained in a gender-specific rehab center helps tackle the problem faster. According to the National Institute on Drug Abuse, men have higher chances of abusing drug than women due to environmental pressures, peer pressures and many more. The best place a man should go when trying to recover from alcohol is a men-only alcoholism rehabilitation center —there are many benefits attached. At men-only rehabs, the staffs are highly experienced at dealing with recovering men and understand the numerous challenges they face. Generally speaking, the whole recovery process is hastened and symptoms of alcohol detox are easily noticed by therapists. Healthy conversations: In a men-only rehabilitation center, male patients get to meet other fellow addicts who share the same situation with them. This creates an avenue for healthy conversations with those who have broken from the cycle. Few distractions: Men-only rehab centers reduce distractions between patients. The focus is made known from the onset, and full concentration is achieved. Unlike mixed-gender rehab centers, sexual and romantic distractions are reduced, if not, eliminated. High success rate: High success rate is achieved in male-specific rehab centers than mixed-gender rehabs. This is due to the fact that full attention is placed on the male gender. New friends: The chances of men making new friends in a men-only recovery center is high—It’s even higher in a teen alcohol abuse rehab. Since the whole point of alcohol rehabilitation is to drop alcohol abuse for good and avoid relapse, male patients tend to bond with each other in a gender-specific rehab, and hence, strive to achieve the expected results on the long-run. Amenities: For addicts with high demand for luxury and comfort, this can be a major determinant. Since not all men-only rehab centers provide luxurious facilities, high-class addicts should opt-in for luxury proven alcohol rehab centers for men; These centers provide sport themed treatments to bridge the distance between patients. Cost: Cost is one of the biggest factors treatment seekers put into consideration. The cost of men-only rehab varies depending on the length of program, amenities, and many others. However, there are also other available options to assist treatment seekers in payment. Additionally, there are many cheap alcohol treatment programs for young men affordable to all working class patients.